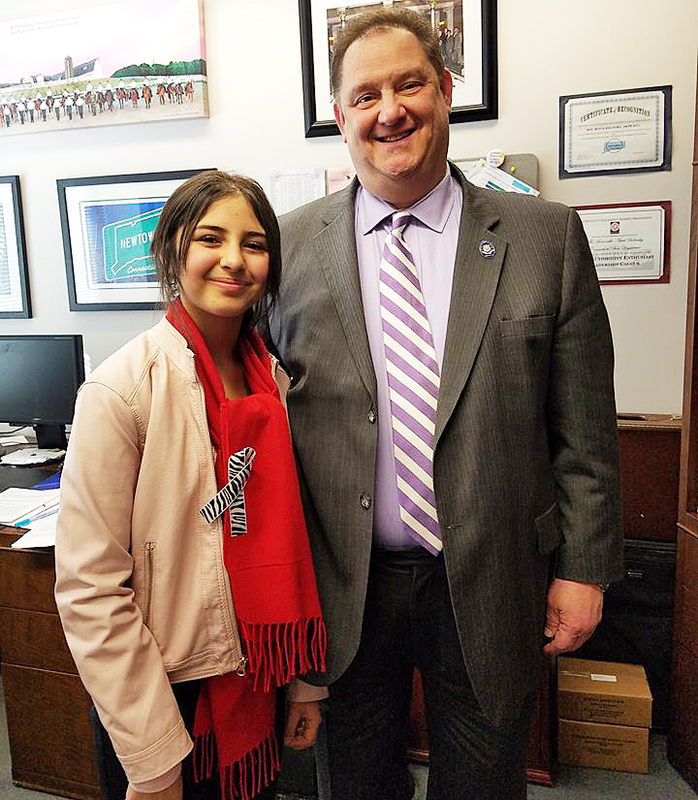 HARTFORD – Newtown’s State Representative, Mitch Bolinsky participated in the 2019 National Organization for Rare Diseases (NORD) Advocacy Day at the Capitol last Thursday. After he welcomed attendees and pledged continued support for the treatment and research to conquer their rare diseases, Sandy Hook resident, Daniela Delgado, took the podium and captivated the crowd with her story of being a one of the 30-million people, half of whom are children, to have a rare disease and her amazing battle to help others. Daniela pointed out, “Rare Diseases are really not so rare, if looked at as a whole. There are 30-million people in the U.S. that live with one or more of the 7,000 known rare diseases. I actually have two. One of them causes almost constant pain and the other, the bleeding disorder, prevents me from taking pain relievers. Some days I cannot even go to school. I’m lucky though because I have an injectable clotting treatment that allows me to function pretty normally.” Daniela takes her clotting medication 20 times a month, at a per-treatment cost of $2,500 a day before insurance. Like so many rare disease sufferers, their prescription drug treatments come with staggering cost and, for 95% of rare disease patients, there is no FDA-approved course of treatment. Rep. Bolinsky is pictured with the Delgado family. 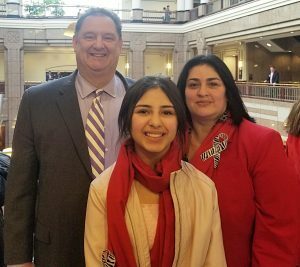 Daniela Delgado (center) was advocating on behalf of rare disease research and awareness at the State Capitol on Thursday, Feb. 28.